The Rev. Patrick J. Healy was Professor of Church History at the Catholic University of America in Washington D.C., and an editor of the Catholic Historical Review in the early 20th Century. This classic work, published in 1905, calls itself "A Study of the Relations between Church and State in the Third Century A.D. ; " but it is a good deal more than that, for above a quarter of the volume deals with the relations between the Church and the State from the time of Christ to the time of Valerian. 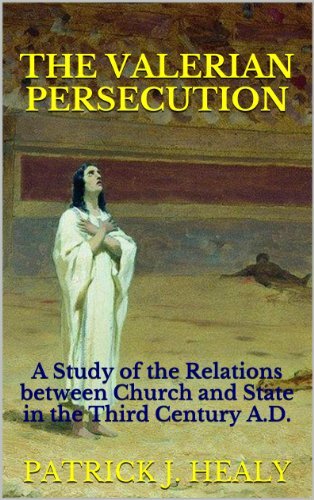 Dr. Healy is of opinion that the Roman opposition to Christianity "arose from a deep-seated adherence to time-honored State policy rather than from blind hatred for the followers of the new religion." This kindle edition is fully edited with linked footnotes.